There's some fun stuff about school, like seeing your friends and pranking your peers, but with the season comes the grueling tasks of researching and writing papers. Most professors will probably require a bibliography or works cited pages, detailing the info of all the books you referenced in your paper. With various formats, they can be difficult to get right, but we can simplify the process with the help of an Android app. 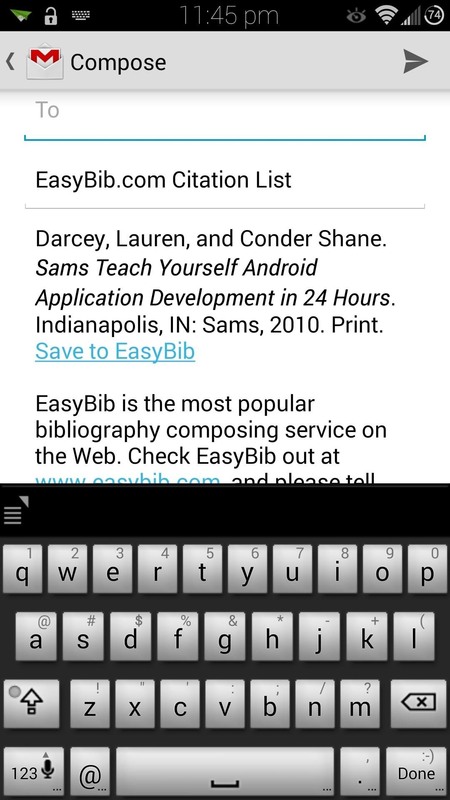 Step 1: Download and Install "EasyBib"
Head on over to Google Play and download EasyBib, created by EasyBib.com. 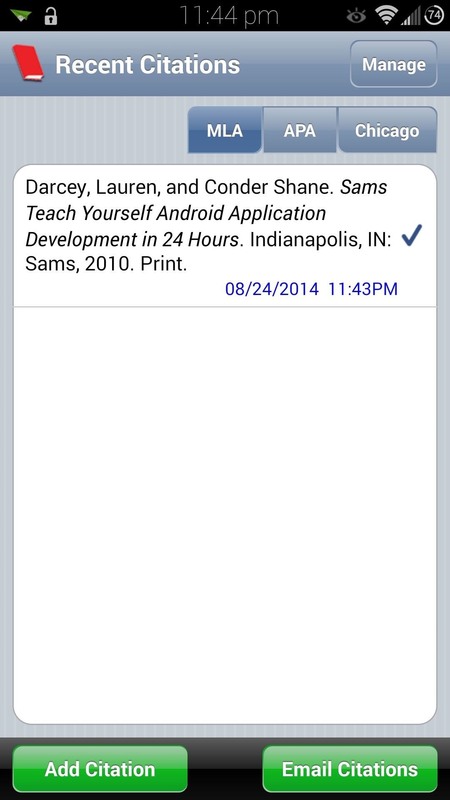 This app uses your device's camera as a barcode scanner and compiles a bibliography using information from its online database. Once it's installed, go ahead and grab a book to test it out. 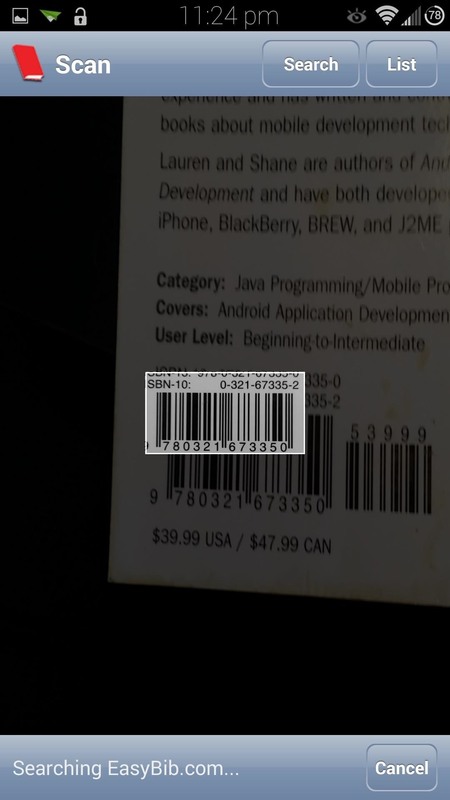 When you open up the app, it'll go right to the barcode scanner. 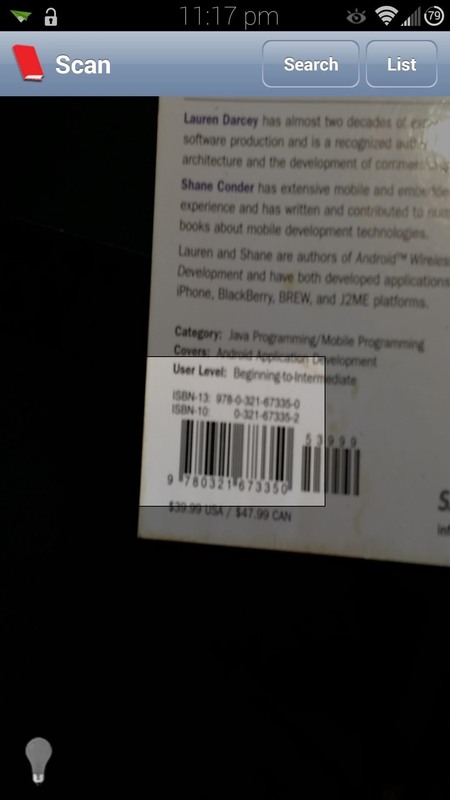 Frame your book's ISBN barcode inside the small guide box in the middle. Once EasyBib detects the barcode, it will search its database and spit out a bibliography in a few short seconds. You can toggle between MLA, APA, and Chicago formats with the buttons in the upper right corner. 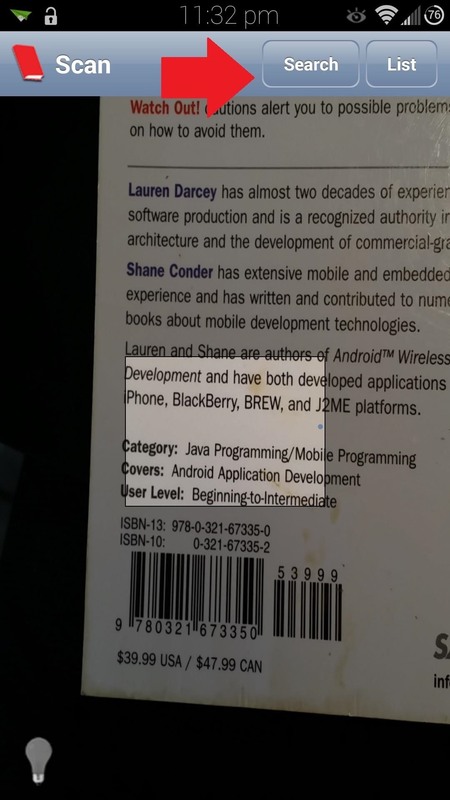 On the off chance that your book's barcode isn't in the database, or is perhaps too worn out for the camera to read, simply tap on the Search button and type in the book's title. You can then get your bibliography from the search results. You'll probably want to get the bibliography onto your desktop somehow, so you can easily copy and paste it into your report. 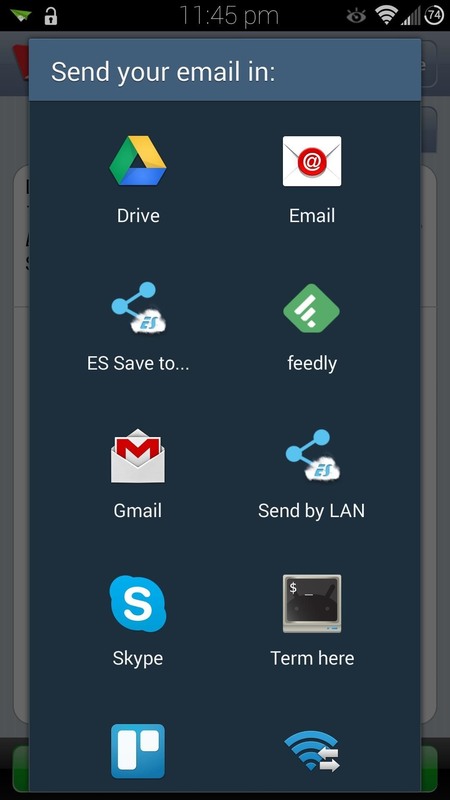 Tap the Email Citations button on the bottom right corner, and select your choice of email app. From there, you can then send yourself the email and access it from whatever computer you're writing your paper on. 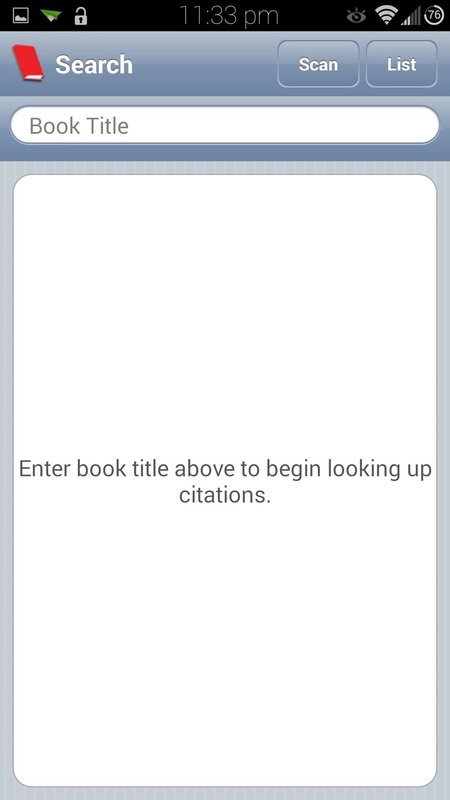 EasyBib definitely makes writing out bibliographies a lot easier, and is a useful tool for any student's arsenal. What other apps are you putting to use for this school year? Let us know in the comments below.